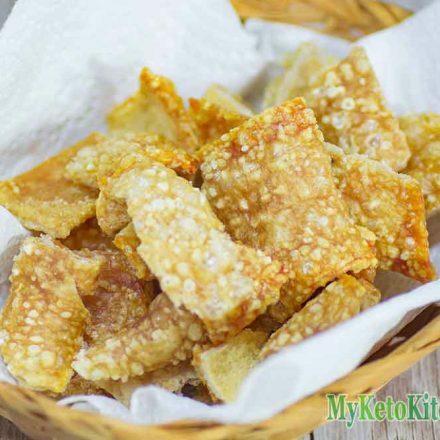 Home » Recipes » Keto Pork Rinds “EASY” Crackle Chips Recipe – ZERO Carb! Keto Pork Rinds “EASY” Crackle Chips Recipe – ZERO Carb! 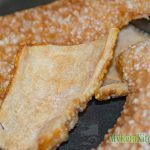 This Keto Pork Rind Recipe (or pork crackle chips) is a popular low carb high fat snack. 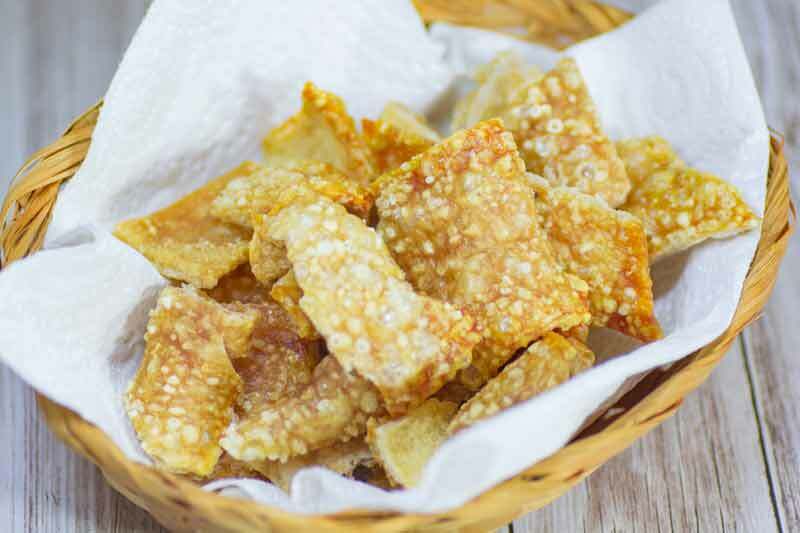 Versatile and tasty keto pork rind crackle chips recipe. Although you can buy pork rind crackle chips in a packet, they’re a lot cheaper and better if you make your own. We love nothing more than cooking our keto pork rind recipe then dipping them in a little Guacamole. You can add your own flavor variation to these pork rinds or dunk them in your favourite low-carb dip. Here’s a tip, though: Do not eat your keto pork rinds without a drink handy. Or eat them with a dip of some description, as they can be quite dry. Preheat fan forced oven to 200C/390F. Trim any excess fat off the pork rind until the skin is 3-4mm or 1/15 of an inch thick. Score the skin side of the pork rind in a square or diamond pattern with a sharp knife, this will help to break apart the rind after it is cooked. Rub both sides of the pork rind with salt. Place the roasting tray in the oven and cook for 10 minutes. After 10 minutes, turn the pork rind over so it is skin side down and return to the oven. Return the rind to the oven and cook for anther 10-15 minutes until the skin has cracled, bubbled and the fat on the underside has crisped. When the rinds are cooked, remove from crackle chips from the oven and allow to cool. Cut or break into small pieces and enjoy. 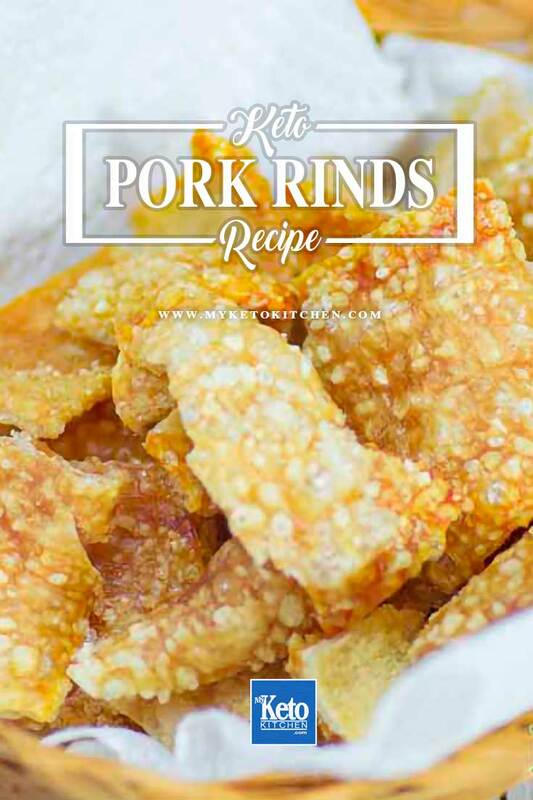 To make a larger batch of this keto pork rind recipe simply adjust the servings above. Any tips on the skins to prevent them from rolling up? You could place a wire rack over the skins while baking, or another roasting tin that fits inside the one that you are using to hold them down.